Staff at Edinburgh’s Queen Margaret University have voted for strike action in a dispute over plans to axe 40 jobs. In the ballot of UCU Scotland members, 64% of those who voted backed strike action on a turnout of 72%. The university is proposing to cut 40 jobs and has refused to rule out compulsory redundancies. The union says the university has not fully explored other options such as sharing resources, seeking savings elsewhere – particularly amongst the management team – and extending the period of restructuring. The university has around 400 staff and UCU said that cutting 10% of its workforce would impact negatively on students’ experience and the university’s reputation. The local branch is due to meet later this week to consider its next steps. 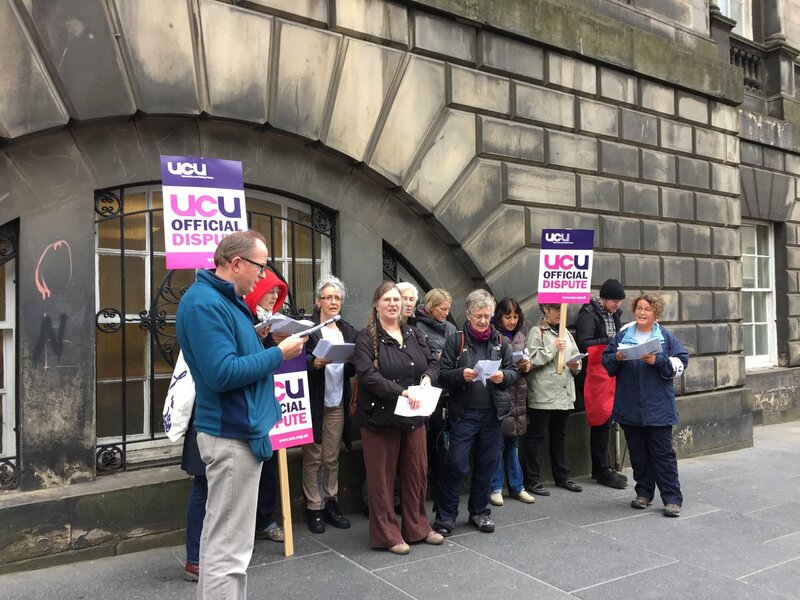 UCU Scotland official Mary Senior said: “UCU members at Queen Margaret University have made it absolutely clear today that they have no confidence in the university’s plans. The ballot result is a clear mandate for industrial action and to oppose plans for compulsory redundancies.